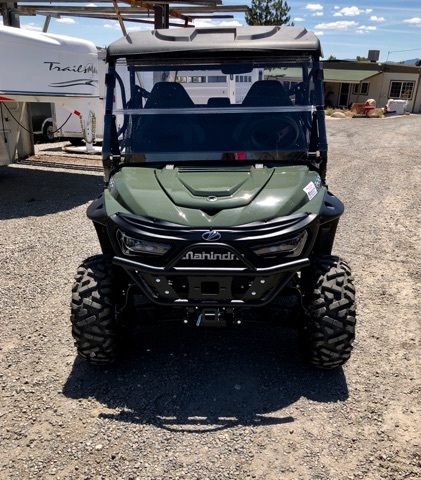 This Mahindra Retriever Has A 2100 lb Towing Capacity & 3 Year Power Train Warranty. 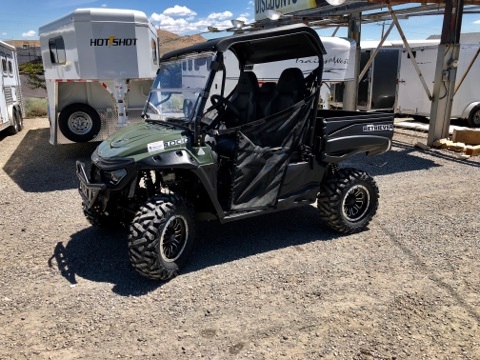 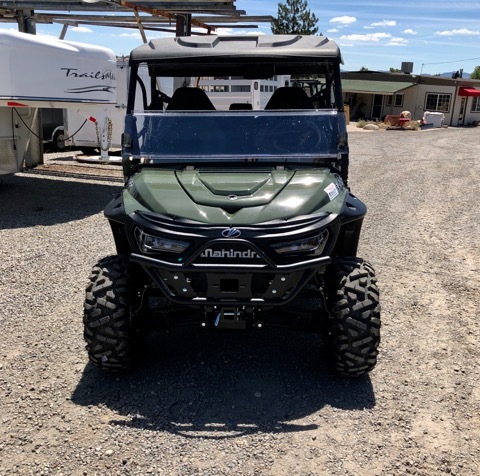 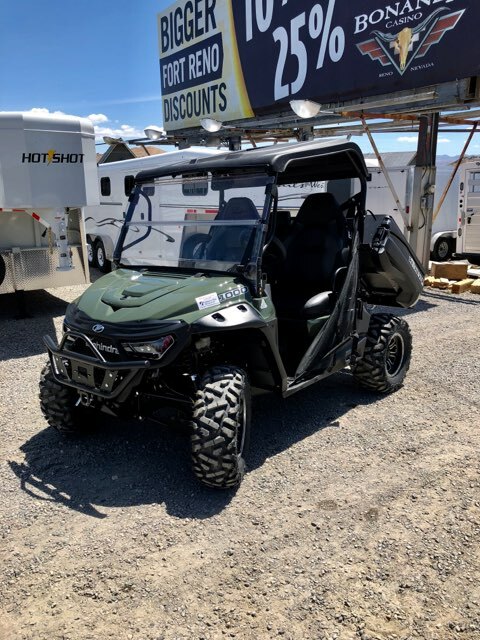 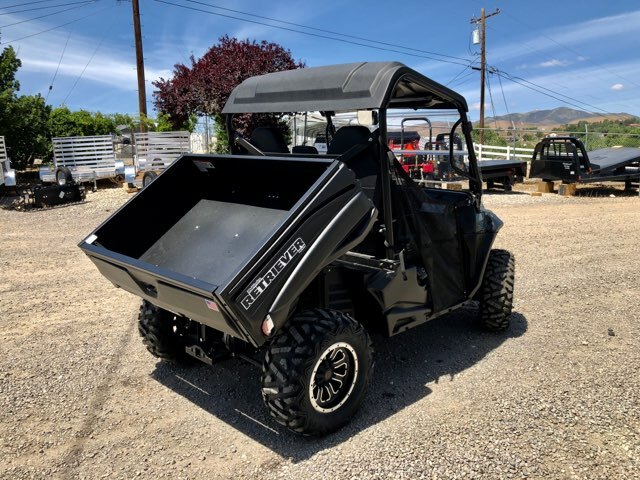 This UTV Includes a CC Kohler V-Twin Diesel Engine, 24 HP, Electric Tilt Bed w/ 1200 lbs of payload, 4WD, 27″ Tires, Independent Front & Rear Suspension, Front & Rear Receiver Hitch, LCD Gauge Display, Automotive Style LED Headlights, Aluminum Wheels, 19″ Entry Space & A 3 Year Power Train Warranty. 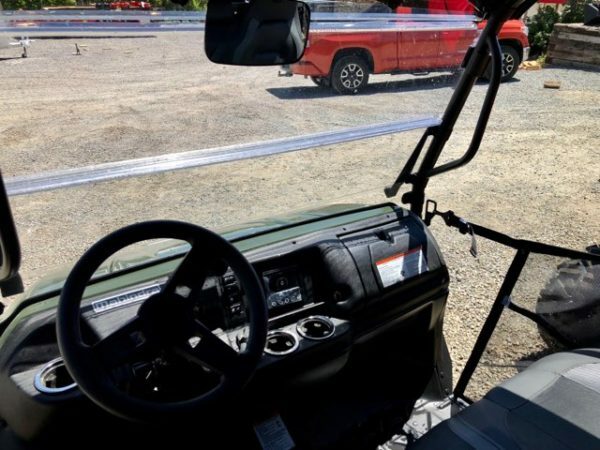 Rear View Mirror, Thermoplastic Roof, Lexan Fold Down Front Windshield & Power Steering Kit. 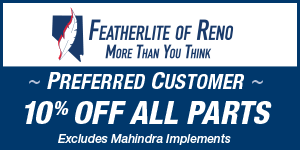 or Mahindra Certified Parts & Service.